Network builders and consumers of all sizes–from the SMB market consumers, to publicly traded Fortune 500 manufacturing and technology organizations–increasingly are under pressure to seek best-of-breed technology tools to fill their ever changing networking needs. External market factors, constantly evolving use needs, and changing cost structures of complex networking equipment can lead to confusion in the buying process, and frustration at the implementation. More and more, these network builders are turning to in-house solutions. The falling costs of hardware and advances in software implementations are providing new alternatives for formerly complex network buildouts. 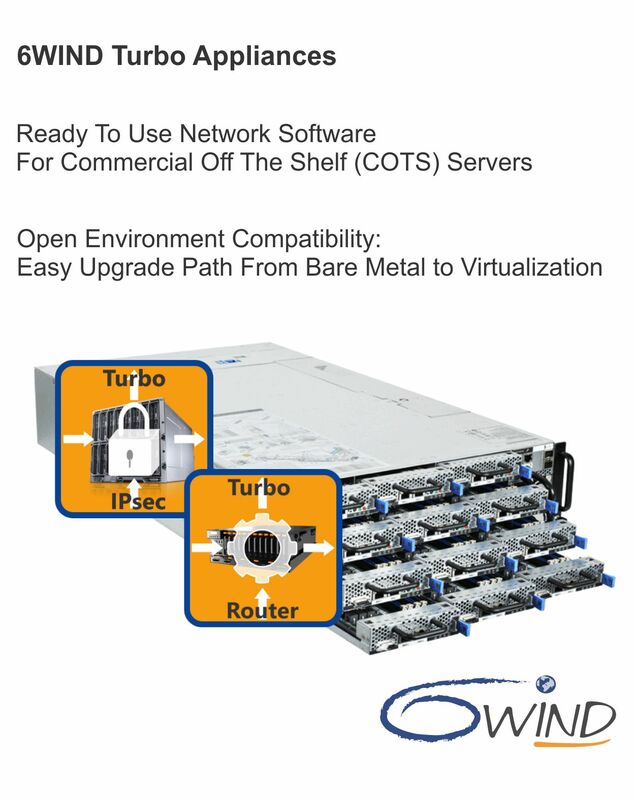 6WIND has developed a Turbo Appliance line of software networking products designed to be deployed on common hardware platforms readily available today. From drop-in IP security solutions, to routing software, 6WIND can help your in-house network organizations build robust network applications that meet, and often beat the performance of today’s big name systems vendors. Whether you manage a high transaction E-commerce site, corporate extranets and intranets, or advanced cloud computing implementations, 6WIND products can provide a cost-effective path to these advanced networking needs at a surprisingly low cost to competing solutions.